This is one of the more unusual items that crop up in our auction from time to time. 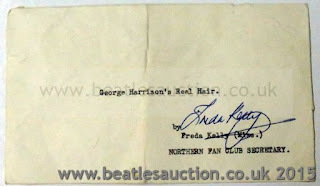 This small envelope is from Freda Kelly at the Beatles Fan Club and inside are two small strands of George Harrison's hair. 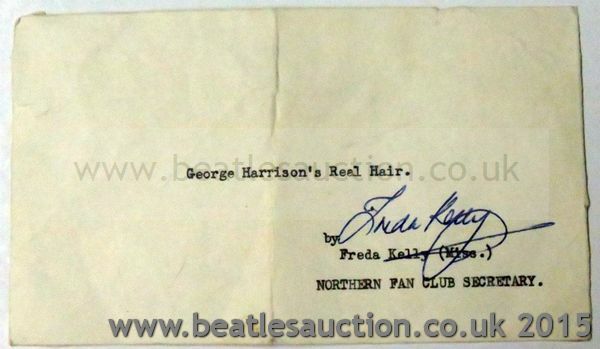 The envelope is signed by Freda and was given to the vendor when she was helping at the fan club. The estimate on this rather interesting lot is £200-£300 and it will be sold in the auction this coming August.